Back to my first love, socks. I haven't made many pairs at all this year, but am having a break from shawls. 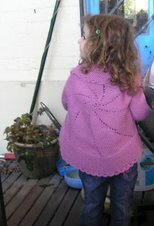 Actually, I've ordered some 12 ply from Bendigo to do a top down cardigan sort of thingy and am waiting for that to arrive. Am still mulling over quite how I'll do it, hence my hazy description. This is some cheap sock wool I bought at a sale from L*ncr*ft a couple of years ago. I also bought some black yarn and made myself some socks from that to satisfy a granddaughter's comments about needing black socks with black shoes. Those socks have been fine. Usually machine washed and I think they may have been through the drier a few times too, although they are usually air dried. OK, they don't feel as luxurious as some yarns, but they knitted up well and have survived the washing machine just fine. No holes yet either. As everyday type socks, they have been good. 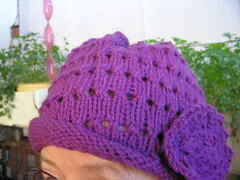 The pattern is an eight row, eleven stitch pattern from the book shown with them. It's a simple, easy to memorise pattern called something like feathered fan pattern. I'm doing the socks on four needles with a fifth to knit with, as the pattern fits well that way and I don't have to watch that I start the pattern in the correct place. Eleven stitches for the pattern and then some spacer stitches. I've done seven or eight repeats and will do more before the heel. I like many of the patterns in the book and have post-it notes poking out all over the place for stitches I really like. The pictures are clear, as are the instructions. Unfortunately, the patterns are not charted although there is graph paper at the back of the book if needed. I haven't used that as it would still mean carting the book with me. I have a small notebook which has graph paper suitable for knitting in it. If I need to have a copy of the pattern I use that. That's much lighter to carry around. I started some new socks yesterday. It is nice to have a 'thoughtless' project to take with me. Your sock looks so pretty. I arrange my stitches according to the pattern count as well!! !